This design is for everyone who loves to cycle. We made it on a black braided leather cord. 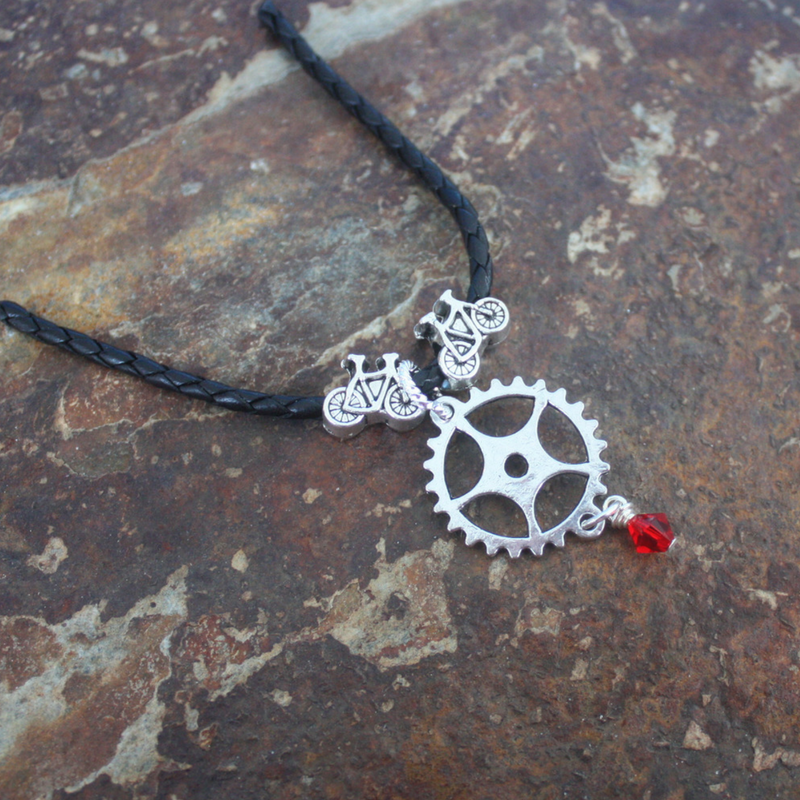 It has two bike beads on it and a silver gear hanging down. You can add the Swarovski crystal in any color you want. Also pick your length of cord. Perfect gift for your spin class buddies. 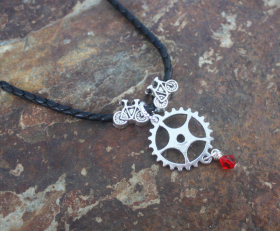 Categories: Biking, Sports, Triathlon Jewelry. Find us on Facebook & Pinterest!